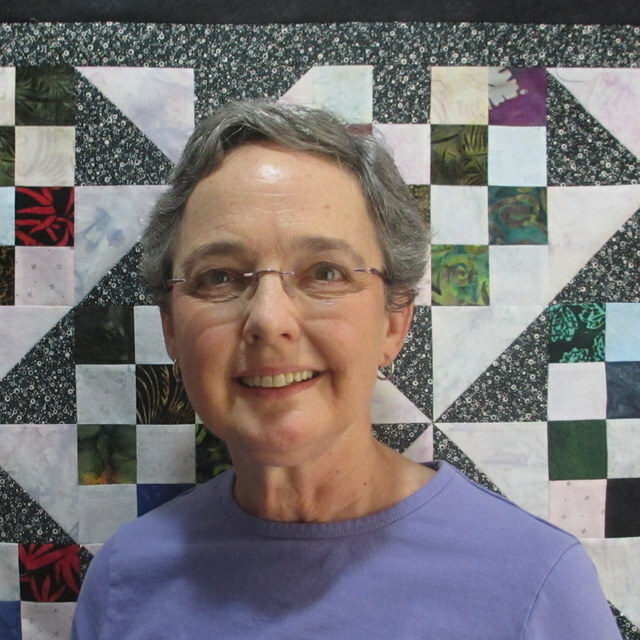 I am a mother and grandmother, retired clinical research nutritionist, and passionate quilter. My goal with this blog is to share what I know about quilting with others with the hope that it will give them as much joy as it has given me. I live in Carrboro, NC and am now retired from a career in clinical nutrition research at the University of North Carolina School of Medicine. This training in research has had a strong influence on my quilting career. In research, there is aways a new quest, a new problem to be solved, and innovative methods to be developed. In addition, there are young people who are coming into the field and are to be mentored. And that is also true of quilting. Although I have been sewing since I was a child, my quilting career started in my late twenties and early thirties when I made quilts for my children. And when I decided to retire to spend more time doing things I enjoy at home, I felt completely comfortable in the quilting world. 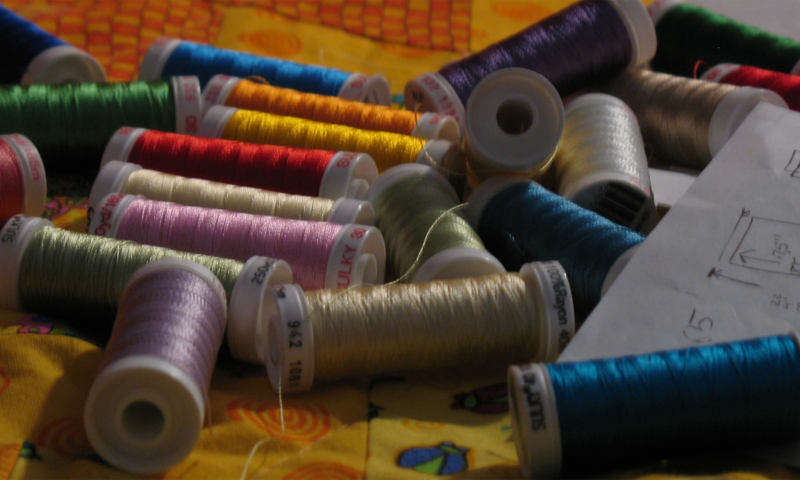 Rather than writing grants and teaching classes, I started blogging in January of 2008 as a way to share my experiences and discoveries in quilting. In addition to quilting, I enjoy spending time with my daughters and their families which include ten grandchildren. Please feel free to email me about quilting at my gmail account with the username “busbyquilts”. Please notify me of new posts by email. I am very fascinated by what you do. QUILT > New Quilt > Horizontal. Borders tab > Delete the border. Layer 1 > Set the block into the quilt. You now have what looks exactly like one block. Set text onto the block, and export this. I hope this works for what you want to do, as it does for my diagrams of blocks. I have about 15-16 Peachtree T-Shirts and other significant race shirts. I’m interested in having a quilt made of my shirts. What is your cost for this? i would love to have your beautiful ribbons we have a cancer deal every year and i do t shirts and towels etc. I was wondering if you have plans to digitize some more applique designs for more of the Accuquilt cutter – for example the Dove and the puppy dog. (yep I have that one) 🙂 Adore the cat and the fun flower ones that you have done. I am sorry if this is not the appropriate place to ask this question, but I haven’t been able to find any other contact. I also appreciate all the hints and tips that you make available for the EQ design software. I love what you are doing with embroidery and the die cuts. Do you know if anyone is doing a similar technique with using some of the other die cutting machines? I don’t own the Accuquilt GO, but I have a couple of the other machines. I have an embroidery machine and would love to be able to use applique die cuts the way you are. I am the Regional Coordinator for SC Quilts of Valor. I manage our Region 8 Facebook page and would love to share your Geek article in its entirety giving you the credit of course. Is this ok? Anne, I would be honored to have you use the blog post. Thanks for asking. Which electronic die cutting machine do you prefer? I can’t seem to find your e-mail address anywhere and I need to ask you a question about 2 of your embroidery pattern you have for sale- where do I find your email please??? Hi I am interested in several of your embroidery designs on the Accuquilt website but cant find info on what formats the designs are available in. I can’t edit designs. Do they come in jef formats? I live in Cambridge-Narrows NB Canada with my husband in what we call cottage country there are a number of summer people in the area but we live here year round on a small cove and enjoy all the seasons greatly. I quilt with a local quilt guild and another group of friends who meet for fun, socialization and to quilt. A cup of tea is optional but everyone needs a little break. I am so glad to have found your blog as I had made a sample block of the rail fence block I know it as rail fence gone wild but did not have a total picture of putting it together. Now that I have seen the pictures of ones you have posted I feel more confident in getting mine finished. I will be going on a quilt retreat in October and will take some fabric for this particular project. Thanks so much. Hi. I’m not sure who to contact about this, but I’m just a US citizen now living in Chile and I bought a quilt here about 7 years ago in a used clothing shop and I wanted to share with the makers that their work made it all the way here. I was going to even sign up for the quilting newsletter, but since I’m not a quilter, it would be too much. The quilt has animals on it and has been on my kid’s bed since then. Anybody now how to get this message to them? Marjorie, I just went to your online store. Oh my stinking gosh, I am so amazed at what all you have done. I was looking for a project to go with my fabric from Island Batik for January. I think I am going to do the trees…already have the digitized trees by you. You are so amazing. I don’t know how you do it all.